What style of training do you use? At Urban Dog Training we use Positive Reinforcement Training, also called Reward Based Training. This training style is based on the sound scientific principles of animal learning and operant conditioning. We focus on rewarding your dog for desired behaviour. We never use harsh punishment, fear or intimidation to elicit behaviour from your dog because it is completely unnecessary. For your convenience you can click on the ENROL NOW button on our home page and complete and submit the form online. Alternatively, you can contact us and we can send you a registration form via fax, email or post. We accept Internet Transfer (BSB: 064179 Acc No: 10190169), Paypal (info@urbandogtraining.com.au), Credit Card (via telephone), EFTPOS (in person) and Cash (in person). For further information please click here. What if I need to cancel before class begins? Provided you give us 7 days notice in writing we will happily refund your course fees in full. Your fees will be forfeited if you do not provide us with 7 days notice. Can I observe a class before deciding to enrol my dog in your classes? Absolutely! We want you to feel confident with your decision to train with Urban Dog Training. You are welcome to come along and observe any of our classes. Please do not bring your dog along though. Sometimes the presence of another dog can be unsettling to the dogs already in class. This is my child’s dog, can he handle the dog in class? For safety reasons children under 16 years of age cannot be the primary handler in classes. However we will include your child in activities. Can I bring my family to class also? We encourage you to bring along the entire family, our courses are designed to incorporate children also. For safety reasons, if bringing along children under 7 years old please bring another adult (over 16 years old) along to supervise the child. I have two dogs, can they both attend classes at the same time? Yes, provided there are two adult (16 years and over) handlers. If the dogs are very closely bonded we often separate them in class so that they can focus on their handler rather than each other. We have a maximum of 8 dogs per class. This allows us to teach effectively and allow all participants some one on one time during the class. Keeping class sizes small creates a less stressful environment for the dogs also. Although Urban Dog Training is not obliged to, we do offer make up classes, if possible. Make up classes must be attended without your dog, for health and safety reasons. We understand that sometimes missed classes cannot be avoided, so we provide extensive training notes for each class so you will know what was covered. If the same class is available in another course, you are welcome to attend. A new dog in class can be disruptive to the dogs already in the class. Simply send us an email letting us know which week you couldn't attend, and we will do our best to find you a time that suits you. Yes we do. Some dogs will not cope in a group class during the early stages of training for these dogs we offer private in-home lessons. Sometimes people are unable to attend classes due to work or social commitments and it suits them to have private lessons. Often people chose to have private lessons to accelerate learning. What is a ‘Behavioural Consultation’? Behavioural Consultations are designed to address problem behaviours rather than basic obedience. Problems behaviours include barking, separation anxiety, aggression, fearfulness and anxiety to name a few. If you are unsure about whether you need a private lesson or a behavioural consultation please contact us to discuss it. Why do you use food in your training, isn’t that bribing the dog? Dogs are just like people, they work to get what they want. You wouldn’t work without pay! 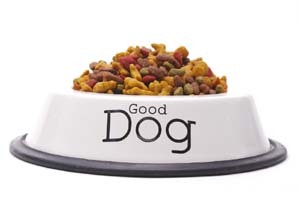 Since you feed your dog anyway it stands to reason that you could use the food as a reward for desired behaviour, instead of giving it away for free. When you control access to resources you elevate your status as leader. Training with food ensures your dog will learn faster since he’ll be motivated to work. If I train my dog with food then will he work without food? We use food in training to elicit new behaviours and reward new behaviours performed on cue. Once the behaviour is learned we show you how to reward the dog in other ways such as praise, petting, lifestyle rewards. You will still reward behaviours occasionally with a food treat as this will keep your dog motivated to keep performing since he never knows when a treat is coming. What if my dog is not motivated by food? All dogs are motivated by food, if they weren’t they’d be dead! They may not like what you’re offering or they may be too full to eat but that is not the same as not being motivated by food at all. Occasionally some dogs are too stressed to eat in certain situations this serves as an indication of the training needed. Will my dog get fat from treats? No, we use the food that your dog would get on a daily basis anyway. We just change the way this food is delivered so it should not make a difference to your dog’s weight. Why do you teach classes without dogs? Since we are training humans in how to train dogs we need to give the humans a basic understanding of canine behaviour and learning. Over the years we have found that humans can concentrate and learn faster if they don’t have their dog with them in the first week. We also teach you HOW to introduce your dog to classes in a manner that will be as stress free to your dog as possible in this class. When I bring my dog to class what should I bring with me? Please bring your current vaccination certificate and your dog on a normal collar and lead (Choke Chains and Prong Collars are not permitted). Bring ample treats cut up into tiny pieces. 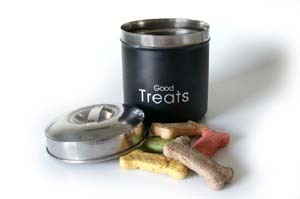 We find that dogs will work best for soft, human food treats such as cheese, hot dogs, chicken, devon, cabana etc. Bring along your dog’s favourite toy.